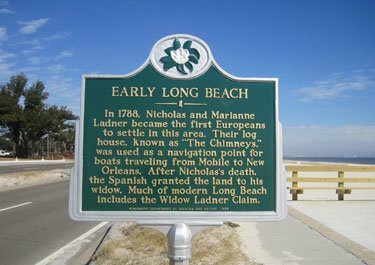 Located in Long Beach, one of four cities boarding 26 continuous miles along thebeautiful Mississippi Gulf Coast’s white sand beaches (Biloxi, Gulfport, LongBeach and Pass Christian) making McCarter Lane Guest House the ideal,convenient location for enjoying all our Gulf Coast has to offer. Including:Endless number of mouthwatering, unique, owner operated restaurants featuringlocal seafood favorites, popular franchise food establishments. Countlessshopping facilities including major Outlet shops and one of a kind boutiques,Over 60 Fishing Charters, 19 extraordinary Golf Courses, 12 Casinos for 24/7gaming , and entertainment, Intriguing Museums, Numerous Historical sites toexplore, Town Green Parks , Water Parks, Zip Line park, water recreation forall ages, Island Excursions, Hard surface beachfront Walking / Cycling path ,Marinas free and open to the public, Fishing piers, Coast wide free beachsideparking for easy beach access, and just 1 easy hour away from Historic NewOrleans.